…and the result is quite likely to fuel the resuscitation of the St. George movement that we expect to break out early in 2018. Broome’s conduct of the search for a police chief has been rife with the same retributionist tribalism that has infected virtually every other activity of her tenure as Baton Rouge’s mayor-president, and it’s only a matter of time before the fruits of that governing style are known. The final five candidates for the position of BRPD chief have been announced and Mayor-President Sharon Weston Broome said she will name her choice on Friday from the remaining five candidates. We’re told Paul is the prohibitive favorite for the job, which is conspicuous – he’s the only one who isn’t currently tied to the Baton Rouge Police Department, which as we understand it isn’t an organization with any particular love for the mayor-president’s office at present. Shocking, that, given Broome’s treatment of the cops since she was elected. 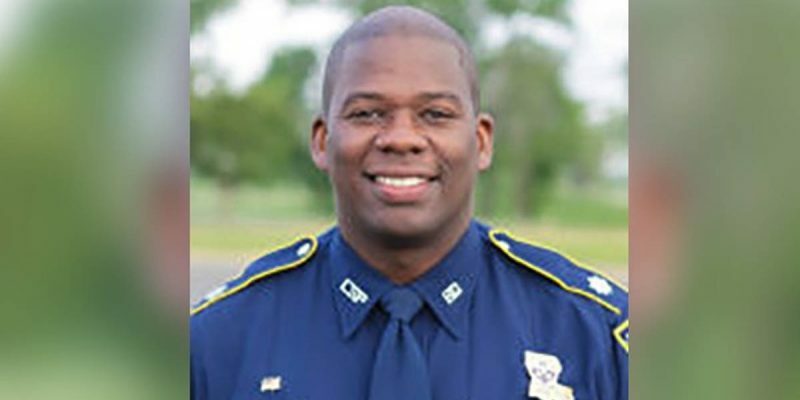 Lt. Col. Murphy J. Paul Jr., who holds a bachelor’s degree in criminal justice from Loyola University, currently serves as deputy superintendent of the Bureau of Investigations for Louisiana State Police (LSP). His current salary at LSP is $150,750 per year. Besides being the recipient of several commendations and awards during LSP, he also came under scrutiny last February when it was revealed that he was among 15 or so guests who traveled to San Diego to witness then State Police Superintendent Mike Edmonson receive a national award. HERE is the link to LouisianaVoice’s story about that trip, which ultimately led to the resignation of Edmonson after nine years as Louisiana’s top cop. You’d think Broome and her search committee would do everything possible to insure that the new head of the BRPD would be beyond reproach, given as though that new police chief would be replacing a man of unassailable character in Carl Dabadie. Instead, Broome is picking Paul, who’s implicated in the state police travel scandal, though admittedly not as a major player. By the way, the five finalists for the position all share a key characteristic. You can guess what that is. There isn’t even a token candidate among the finalists included as a tribute to the concept of “diversity.” That only matters to other people, not to Broome. Perhaps Paul will do well as the police chief if he is in fact chosen. We wish him luck. He takes over an understaffed police force with abysmally low morale and a high attrition rate, tasked with reining in crime in an out-of-control city without the support of its political ruling class in any meaningful way. And those people in the southern portions of East Baton Rouge Parish looking on as Broome plunges Baton Rouge headlong into its destiny as the Detroit of the South will only continue their preparations for a new St. George incorporation effort.